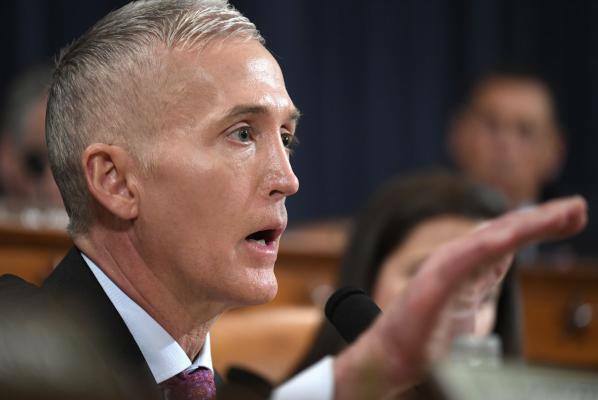 Congressman and House Oversight Committee chair Trey Gowdy (R-SC) told “Fox News Sunday,” that Mueller’s team broke the law by leaking news of upcoming charges to CNN. Gowdy warned Mueller about leaking details of the investigation to the press. On Friday night, CNN reported that Mueller’s team has filed the first charges in the case with a federal grand jury. On Friday, Special Counsel Robert Mueller filed the first charges in his investigation into Russia’s alleged interference in the 2016 election. The nature of the charges are sealed and arrests may take place as soon as Monday. As the Special Counsel’s investigation into Russia’s alleged interference in the 2016 presidential election rolls on, new pressure is building on Robert Mueller to resign. Republican Congressman Trent Franks (R-AZ) believes Mueller’s resignation is long over due. Even Gov. Chris Christie (R-NJ), who in the past has been bearish on backing the Special Counsel’s resignation, says he supports it if the evidence exists. Calls for Mueller’s resignation stem from his friendship with FBI head James Comey, which Franks says is a clear conflict of interest. “If the facts that you just laid out are true, then somebody with Bob Mueller’s integrity will step aside and should — if in fact those facts, as you laid them out, are true,” Gov. Christie told “Fox & Friends,” in relation to reports of conflicts of interest. Jim Hoft of The Gateway Pundit previously reported, lawyer Gregg Jarrett told Sean Hannity that Mueller “must resign immediately over his alleged role in the Uranium One scandal. Why? Because Mueller sat on the CFIUS committee that approved the sale of 20% of US uranium reserves to Russia despite knowing Russia had bribed the Clintons for the illicit sale.